A native of China, bass Wei Wu recently made his company debut with the Santa Fe Opera, as Kobun in the world premiere production of The ®evolution of Steve Jobs. Upcoming engagements this season include a return to Washington National Opera, singing Don Basilio in Il barbiere di Siviglia, and he joins the West Virginia Symphony in concert for Verdi’s Requiem. Last season, the bass’s performances included Timur in Turandot with Pittsburgh Opera and Don Basilio in Il barbiere di Siviglia with NCPA Beijing, and he covered Gualtiero Walton in I Puritani for the Metropolitan Opera. On the concert stage, he joined the Kansas City Symphony and Choral Arts DC for the Mozart Requiem, and appeared with Washington Concert Opera as Phanuel in Hérodiade. Mr. Wu’s 2015-2016 season included engagements singing the Old Hebrew in Samson et Dalila at the NCPA Beijing, Bonze in Madama Butterfly with North Carolina Opera in his company debut, Father Trulove in The Rake’s Progress with Pittsburgh Opera, and the Ghost of Nino in Washington Concert Opera’s production of Semiramide. In his final year as a member of Washington National Opera’s Domingo-Cafritz Young Artist Program, his role assignments included covering the role of Zuniga in Carmen, and Wilcox in the World Premiere of Better Gods. In the 2014-2015 season, he appeared as Colline in La bohème, The King in The Little Prince, Javelinot in Dialogues of the Carmelites, covers the Captain in Florencia en el Amazonas, and sings Mr. Shaw in the world premiere Penny. He made his debut with Washington Concert Opera in Guntram under the baton of Maestro Antony Walker, and joined the Glyndebourne Festival to cover Osmin in Die entführung aus dem Serail. Mr. Wu also made his Alice Tully Hall debut singing in concert with performers from China’s I Sing Festival, and debuted with NCPA Beijing as the Four Villains in Les contes d’Hoffmann under director Francesca Zambello. 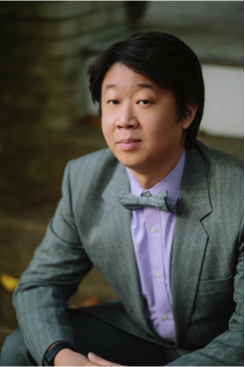 In his first season with Washington National Opera, Mr. Wu has made his debut in the world premiere production of The Lion, The Unicorn and Me as the Inn Keeper, Lizard, Ox and The Shepherd, and he also appeared in Breaking, part of the American Opera World Chinese Initiative. He has also appeared in The Magic Flute as the Second Armored Man at the Kennedy Center. A native of China, the bass first came to the United States as a young artist covering the titular role in the world premiere of Poet Li Bai at Central City Opera in 2007. He also served as the lead cover of Li Bai throughout the production’s subsequent tour in Rome, Beijing, Shanghai, Hong Kong, Denver and Los Angeles. While a student at University of Colorado, Wei Wu performed roles including: Figaro in Le nozze di Figaro (University of Colorado), Colline in La bohème (Colorado Springs Philharmonic), Ferrando in Il trovatore and Tom in Un ballo in maschera (China National Opera), and Don Alfonso (Opera Arkansas). Mr. Wu is a regional finalist and district special award winner (Rocky Mountain Region) for the Metropolitan Opera National Council Audition in 2010 and 2012. He was also the winner of the Denver Lyric Opera Guild Competition in 2011and 2012, and placed third in the 5th Taiwan Vocal Competition. Mr. Wu received his B.M. in Vocal Performance from the People’s University of China, Beijing, and received his Performance Certificate and M.M. in Voice Performance at the University of Colorado at Boulder.